Doughbeezy has been hyping up Texas crowds and garnering fans since high school, where he got his start doing casual freestyle battles at the lunch table. The 31-year-old Houston native recorded his first track in 2003 and since then, he’s continued to progress as a recording artist, live performer, and successful brand. The release of his new King Beezy album has further brought Doughbeezy to the forefront of being one of the hottest artists coming out of Texas. HipHopDX talked to the seasoned SXSW performer about some of his hopes for this year’s festival. Doughbeezy: Yes. Been performing at SXSW as an official artist since 2013. This year I’ll be coming into SXSW as a more established artist but after having over a year between my last released project I’m treating this year’s SXSW as a way to reintroduce myself to new fans and treating it like it was one of the earlier years that I attended. Engaging with the fans and making new ones. Also, networking and building relationships with other artist and brands. Do you plan on watching other performances? Which one are you most likely to see? No set plans but always end up somewhere a dope artist is performing. There are thousands of artists performing at SXSW. Why should people come and see you? Because you’re in Texas and the biggest music festival in the world. You should at least see what Texas has to offer, especially from someone who’s been labeled as one of the best lyricists in the state! What was your first show outside your hometown and what was the best memory of it? Coincidentally it was in Austin, TX, where SXSW is held. My best memory is the energy and vibe the city brings. You can’t find that nowhere else in the world. I can’t remember exactly. But I believe it may actually have also been in Austin. What was the best article you’ve ever read in HipHopDX? The one about gun control. If you’ve watched The Breakdown, what was your favorite episode? Favorite episode of the breakdown was the Magic Number theory … although one of my personal favorite and influential groups, UGK is a two man group I do agree that 3-person groups have been very impactful in Hip Hop and music in general. I think with a 3-man group each person gets a chance to really showcase their individuality, which helps them relate to a wider audience. It also seems to set up the members better for solo success as well. If you could have your fans know one unique thing about you what would it be? No pen, no pad! My first three solo projects were written in my head and recorded on the spot. 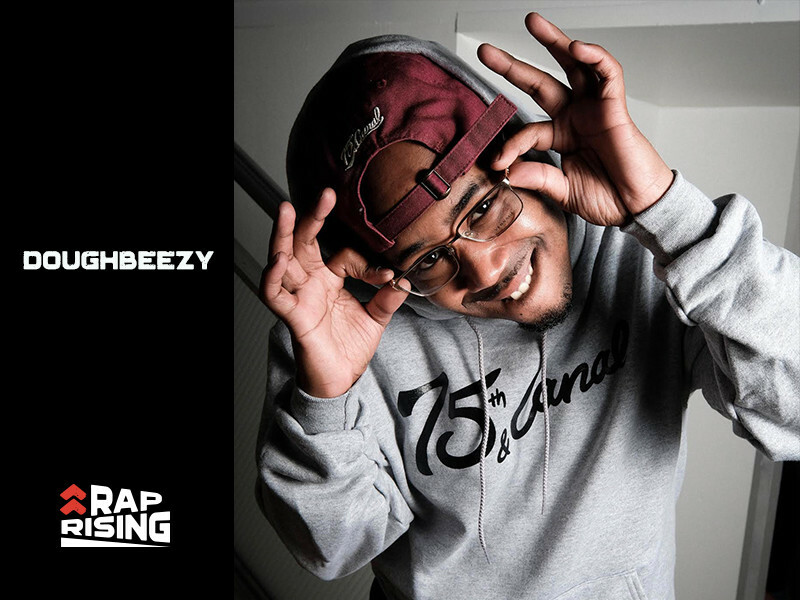 Check out Doughbeezy at DX’s Rap Rising showcase at SXSW on March 16 at The Parish.